MIPS Virtual Groups: A Virtual Pipe Dream? Well, it’s over. Super Bowl LII is now part of history. Did your team win last night? Do you have a new favorite commercial? Or perhaps you simply don’t care about the Super Bowl? For those of you in the later category, I think I have found something else to add to the list of items one should ignore—MIPS virtual groups. I think many of you who practice in a group (2 or more docs sharing a TIN) have contemplated the pros and cons of participating in MIPS as independent eligible clinicians or reporting at the TIN level. At a very high level, reporting as a group basically entails aggregating the practices’ experience across the MIPS categories, and generating a single MIPS score. That “practice score” then dictates the MIPS payment adjustment every provider in the practice will face a couple of years down the road. Importantly, if you elect to report MIPS as a group, every provider receives that practice-level score, including your advanced practioners who otherwise may have been excluded from MIPS due to the low-volume threshold. While weighing the pros and cons of the individual reporting vs group reporting decision can be a challenge, I am sure Acumen blog readers will not be surprised to learn that our fine friends at CMS have decided to add an additional layer of complexity to the quality payment program. Consuming almost 100 pages of the originally published double-spaced 2018 final rule, I hope to persuade you that participating as a virtual group offers many headaches and little upside for nephrology, with perhaps one exception, which I’ll address near the end of this post. At a very high level, a virtual group is a collection of small TINs that agree to report all categories of MIPS as a single unit. Similar to reporting MIPS as a practice (option number 2 above), the participants in a MIPS virtual group all receive the same MIPS score and the same payment adjustment to their fee schedule a couple of years in the future. What do I mean by “small TINs”? The only practices that can join or form a virtual group are those practices with 10 or fewer eligible clinicians (docs, nurse practioners, or physician’s assistants in the typical nephrology practice). Suppose you and I both practice in groups with 10 or fewer providers, and that for some reason beyond my comprehension, we elect to form a virtual group to report MIPS. One of the first things we need to do is let CMS know we want to form one of these things, and interestingly enough, we have to let them know before the performance year starts. That’s right, had we wanted to do this for 2018, we would have needed to let CMS know about our intentions prior to December 1, 2017. Recall the final rule was published just a few weeks before the deadline. Really, you can’t make this stuff up! How would this work? 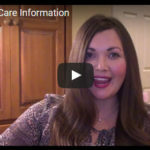 Consider advancing care information (ACI)—what we used to call meaningful use. For each ACI objective, you would aggregate numerators and denominators for those metrics in your practice. I would do the same in mine, then we would add the fractions. What about the quality category of MIPS? Same exercise. Sounds like a blast to me; I cannot wait to get started. How about you? Okay, it’s not all bad. We do see some relief around the improvement activity (IA) category of MIPS. If just one of the docs in either group meets the IA standard in MIPS, the entire membership of the virtual group receives credit. The cynic in me would like to point out that IA is by far the easiest of the MIPS categories, but I digress. After racking my brain to uncover a potential morsel for nephrology, I can only come up with one. Some of you have docs that operate within different TINs. Perhaps you operate an access center, and that access center has a unique TIN. The way MIPS works today, if you have docs in the access center TIN, and the same docs are using the practice TIN for other encounters billed to Medicare, you must report MIPS for both NPI/TIN combinations. If you only report MIPS through the practice TIN in 2018, all of the work you do in the access center will incur the maximum MIPS payment adjustment in 2020 (you will face a 5% penalty on the access work you do in 2020). If you have 10 or fewer eligible clinicians in both your practice TIN and your access TIN, you could create a virtual group that consists of both TINs and report MIPS across those 2 TINs as a MIPS virtual group. In terms of upside, that’s where it stops—and remember, it’s only for small groups. I must say, that after trashing the virtual group approach, I do applaud the folks at CMS for their thoughtfulness, and for creating the flexibility to aggregate interests across groups. I think at some point during this value-based care journey, we will indeed find a role for virtual groups. But for MIPS reporting, the juice does not appear to be worth the squeeze. Outside the access center example, I doubt we will have many takers in the nephrology space. It’s going to be interesting to see if anyone signed up for 2018 (doubt it), or if CMS tweaks the rules to make it easier in future years. Anyone out there considering forming a virtual group? If so, drop us a note and join the conversation.